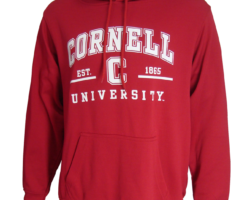 This red Cornell full zip hooded sweatshirt is made of 80% Cotton/20% Polyester for extra warmth and comfort. 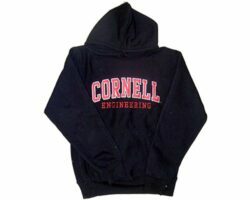 The Cornell hoodie features felt applique CORNELL displayed across the chest . 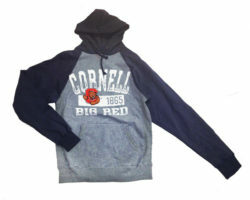 The hooded sweatshirt has an C ogo on the back with white color raglan sleeves and “BIG RED” down the left. 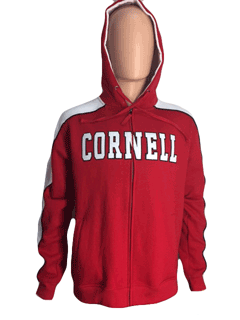 The jacket also has a drawstring hood and side pockets for those cold tailgates. 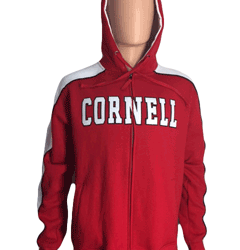 This two tone jacket is truly unique, keep warm and let everyone know you are a Big Red fan. Officially licensed product!